The twin cities, Bhubaneswar and Cuttack bade farewell to Goddess Durga in an eco-friendly way. The idols were immersed at two artificial ponds on the banks of the Kuakhai and the Daya in Bhubaneswar and an equal number of ponds on the banks of the Kathajodi in Cuttack. Besides digging artificial ponds, the BMC also ensured proper roads and lighting near them for easy immersion. 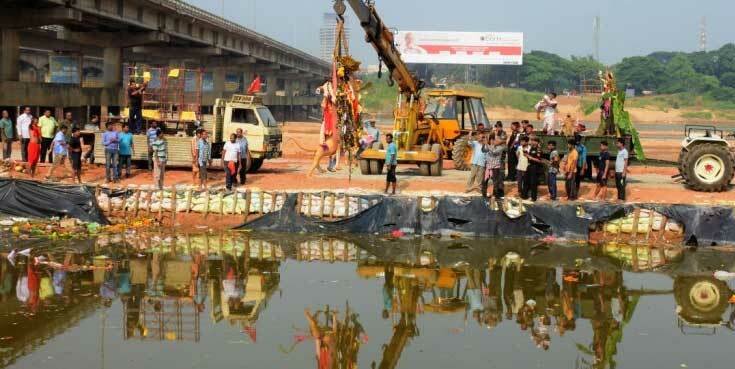 Furthermore, the BMC engineering wing deployed a crane for smooth immersion of the idols.